The K-9 CourageTM Program is a charitable healthcare donation program that provides healthcare support to retired police and military K-9s to help assure that these courageous dogs continue to live happy and healthy lives. The program also helps provide service dogs for veterans who suffer from post-traumatic stress (PTS) and awards financial grants to provide emergency treatment to retired military dogs in need. Through partnerships with American Humane Association, Sage Foundation for Dogs Who Serve and The National Police Dog Foundation, the K-9 Courage Program provides the owner of each dog with $300 annually on a debit card that can be applied toward any veterinary expense including wellness and emergency visits, vaccines, prescription medications, and food or treats. By completing the “Itch Instinct” quiz, you will trigger a donation by Zoetis to expand the number of recipients in its K-9 Courage™ Program. Your contribution could help sponsor approximately 100 of these heroic dogs for the rest of their lives. Should you talk to your veterinarian about your dog’s itching? Take this quiz to learn more. 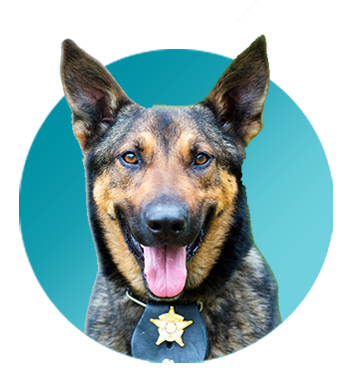 By completing the “Itch Instinct” quiz*, you will trigger a donation by Zoetis to expand the number of recipients in its K-9 Courage™ Program, which provides financial and in-kind product donations to retired military and active police dogs as well as active service dogs that assist veterans suffering from post-traumatic stress. If your dog has frequent itching, your veterinarian can help! For many years, corticosteroids, immunosuppressive drugs, or antihistamines were the only treatment for itch relief in dogs. However, steroids and immunosuppressive drugs can have serious long-term side effects such as increased panting, liver disease, and risk of infection, and antihistamines can cause severe drowsiness. There is another treatment available that decreases dogs’ itches and desire to scratch, while also reducing inflammation, redness or swelling of the skin. Get information about a treatment option for allergic itching. You have selected a link that will take you to another website. Please click "OK" to continue.